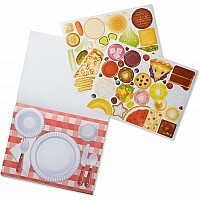 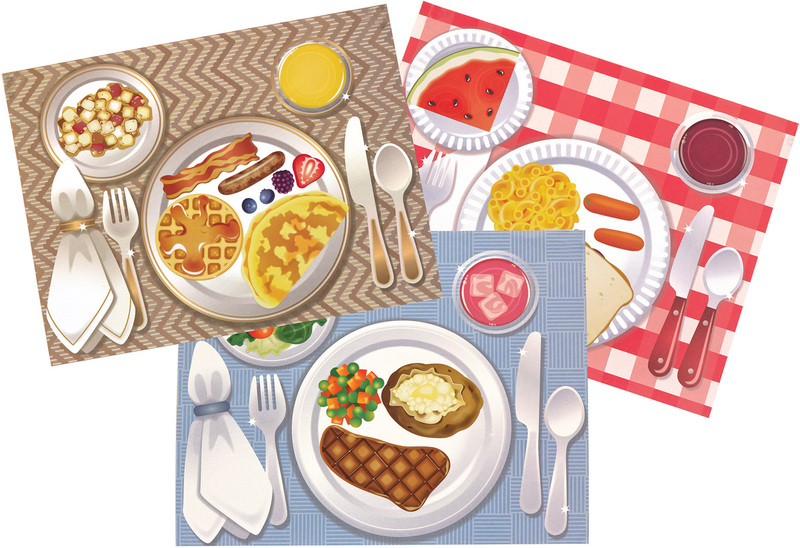 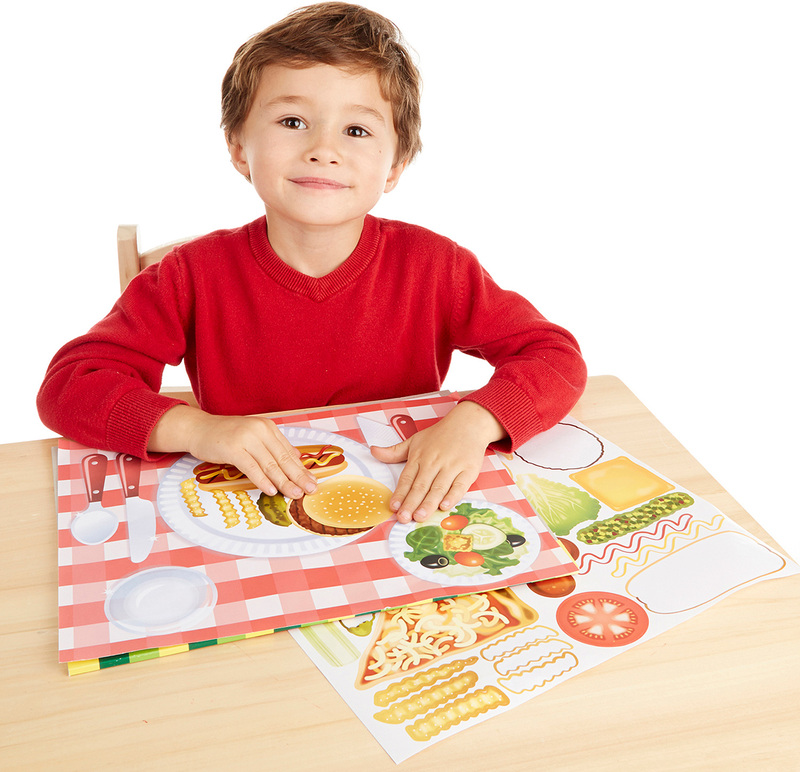 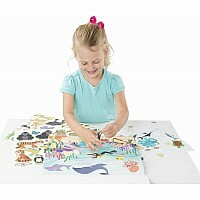 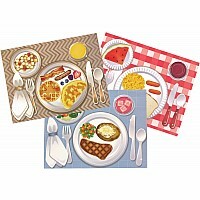 Pick a place setting-picnic table, cafeteria or fancy dinner-then fill the page with stickers to create your dream dinner. 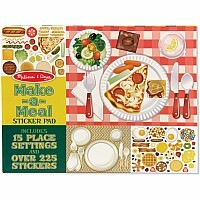 Over 225 stickers include every food group, so it's easy to make a balanced meal and practice healthy eating ... Or pile a plate with doughnuts and ice cream for a meal that could only happen in stickers! 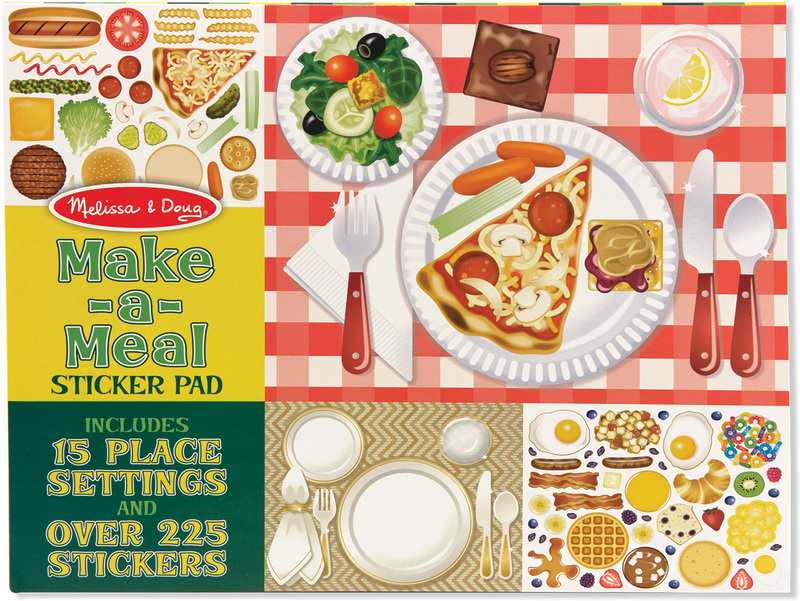 Fifteen background pages in three colorful designs tear out cleanly and are big enough to "serve" at your make-believe restaurant.